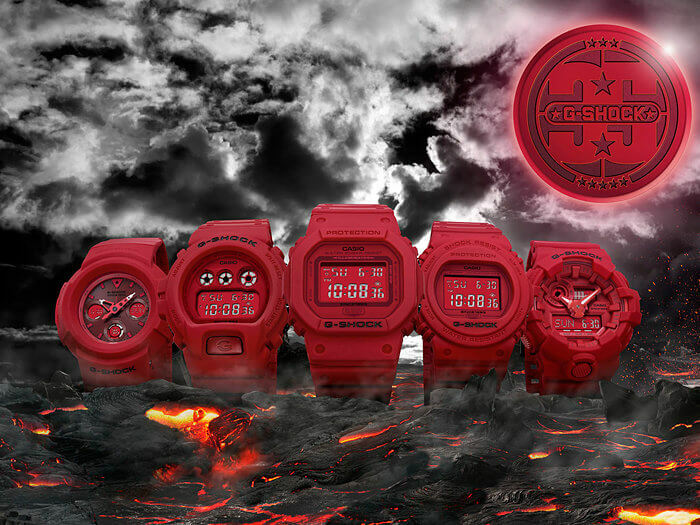 G-Shock Australia revealed the G-Shock 35th Anniversary Red Out Collection which is the third anniversary series following the Big Bang Black (Neo Matte Black) and Gold Tornado collections. 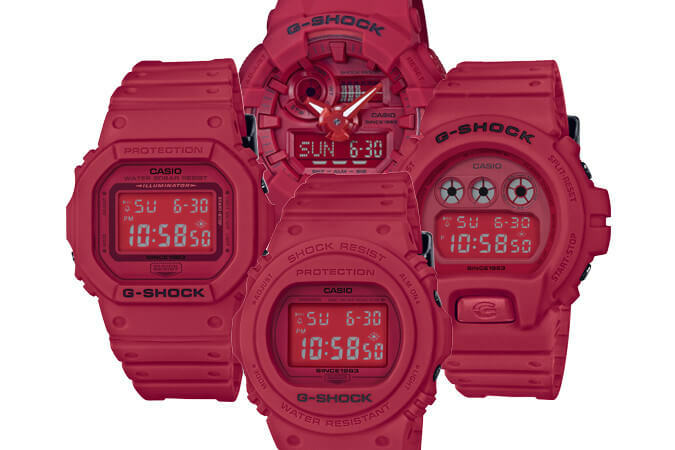 The Red Out series includes the classic digital models DW-5635C-4 (left), DW-5735C-4 (bottom), DW-6935C-4 (right), and the analog-digital GA-735C-4A (top). Japan will also be getting the solar and radio-powered AWG-M535C-4AJR. 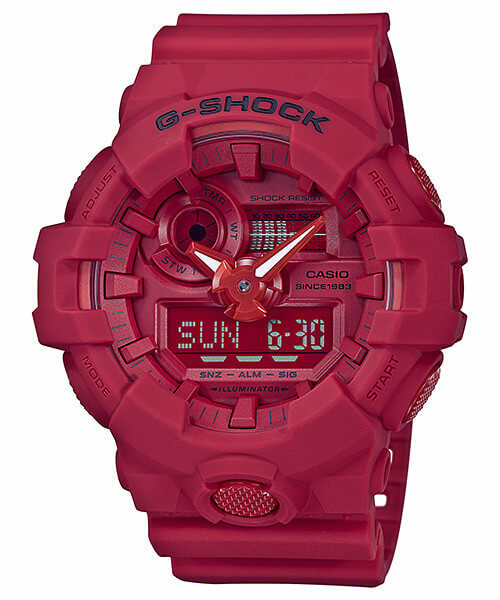 The collection pays tribute to the original G-Shock color scheme with an emphasis on the red secondary color. The bezels and bands are a matte red and the display is a red-tinted reverse LCD. 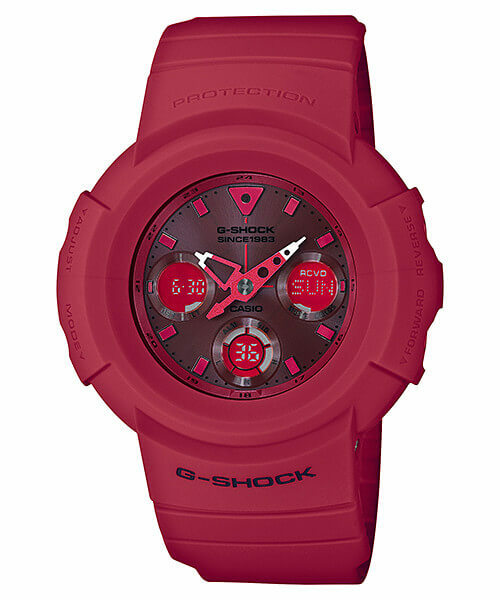 The G-Shock logos and select face markings are black and the buttons, buckles, and metal band keepers have a black IP. These models also have a commemorative 35th Anniversary case back with a black IP. Like the 35th Anniversary Big Bang Black Collection, the Red Out Collection uses a special particle mix to create a unique, lusterless ultra-matte surface. Perhaps the most interesting of the four from a collector’s point of view is the DW-5735C-4, based on the DW-5750 which traces its lineage back to the DW-5400 from 1985 which was the first G-Shock with a round face. We haven’t seen a new DW-5700 model in a very long time and this marks the beginning of a revival, as a standard DW-5750E-1 and blacked-out DW-5750E-1B are also slated for a January 2018 release. Update: Casio announced the AWG-M535C-4AJR (¥28,000 JPY), DW-5635C-4JR (¥16,500 JPY), DW-5735C-4JR (¥16,500 JPY), DW-6935C-4JR (¥16,500 JPY), and GA-735C-4AJR (¥20,000 JPY) for a January 2018 release in Japan. The DW-5635C-4, DW-5735C-4, DW-6935C-4, and GA-735C-4A will also be released throughout Asia. Update 2: Casio America announced the DW5635C-4, DW5735C-4, DW6935C-4, and GA735C-4A for a February 2018 release with a list price of $140 USD each. 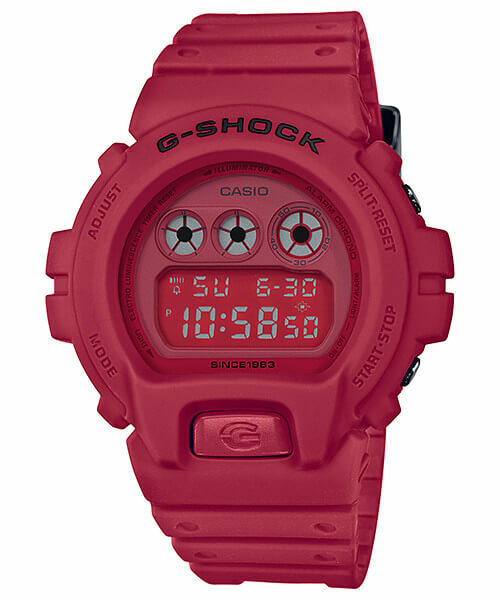 Base model is the AWG-M510, descendant of the first analog-digital G-Shock and featuring Tough Solar and Multi-Band 6. The AWG-M535C-4AJR is a Japan-only model. Base model is the DW-5600 with EL backlight. 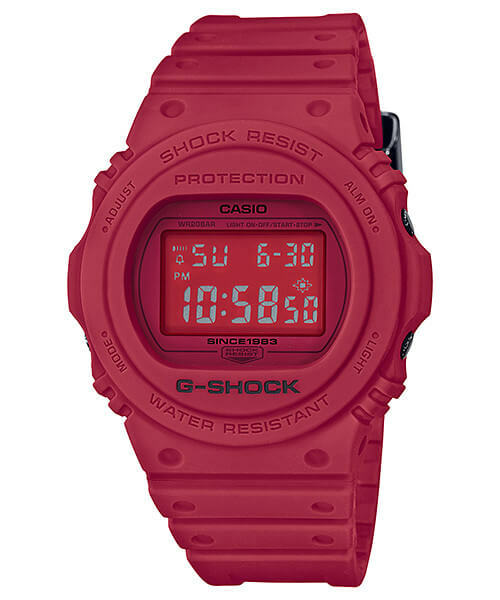 Base model is the revived DW-5700 with EL backlight, known for being the descendant of the first round-face G-Shock. Base model is the DW-6900 with EL backlight. Base model is the extra-large analog-digital GA-700 with front LED light button and estimated 5-year battery.